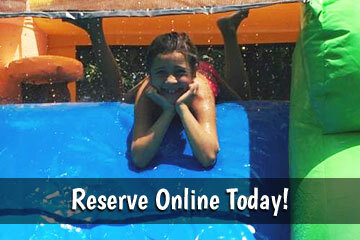 Bounce House & Party Rentals | PartyHoppersTX.com Lake Houston TX. We are here to help you have a good time, and make those kids happy. When your guests see our moonwalks, water slides, and games they can't help but smile. Our number one goal is for you to be 100% satisfied. We are fully insured and keep our rental equipment super clean. Here you'll find the best deals in Houston on bounce houses, water slides, bounce and slide combos, obstacle courses, moonwalks, and more. Let's get your party hoppin' now! We offer free delivery to all rentals in our surrounding communities, Atascocita, Humble, Kingwood, Huffman, Crosby, and most of North East Houston!! We want you to have the best events and festivals available in the Houston, so Lake Houston Party Hoppers is ready to assist our schools, churches, big event and corporate customers with the best resources, planning, and professional experience you'll need for a successful event. So whether it's a large city festival or major corporate event, we're ready to do the heavy lifting, and provide you with ideas and money saving packages ahead of the 2019 event season. Our new online reservation system is one of the fastest and easiest in Houston! Just click the "Start Here" button below and enter your event date and time. Then as you browse through our website, you will be presented with those items available on your selected date. See something you like? Just click the "Add to Cart" button and in a couple clicks, your done!